I’m reblogging this for all of my Tweeting author pals! 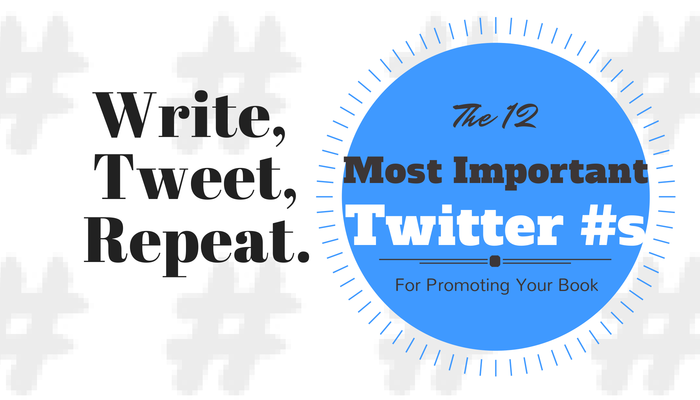 Hashtags are, arguably, the most important part of tweeting. Without these keywords that categorize the subject of your tweet, you’re never going to reach your target audience. If you’re using Twitter to promote your book, it’s crucial that you use hashtags wisely. Social media is, ideally, about reciprocity, connecting and interacting. It works best when it’s a two way street, but too many marketers see it as just another venue for repeating their message over and over and over, regardless of the appropriateness of the audience. These folks are what are affectionately known as spammers. And they get blocked very quickly. Your goal should be to provide useful information to people who are interested in what you’re interested in. With that in mind, you should try to limit your book promotion tweets to 1 or 2 a day.